Singapore — [February 2, 2017] – Boomzap Entertainment announced today that Legends of Callasia has been nominated in the 13th International Mobile Gaming Awards Global. The IMGA is the longest standing and highest regarded mobile games award program started in 2004. Inspired by classic turn-based strategy games like Civilization, Heroes of Might & Magic, and Risk, Legends of Callasia is a fantasy-themed world conquest game which adds an original simultaneous gameplay mechanic that keeps games moving quickly. Easy to pick up and learn, the game has a classic tabletop feel, allowing players to build and control heroes and armies, build castles and cities, and control territories and kingdoms. 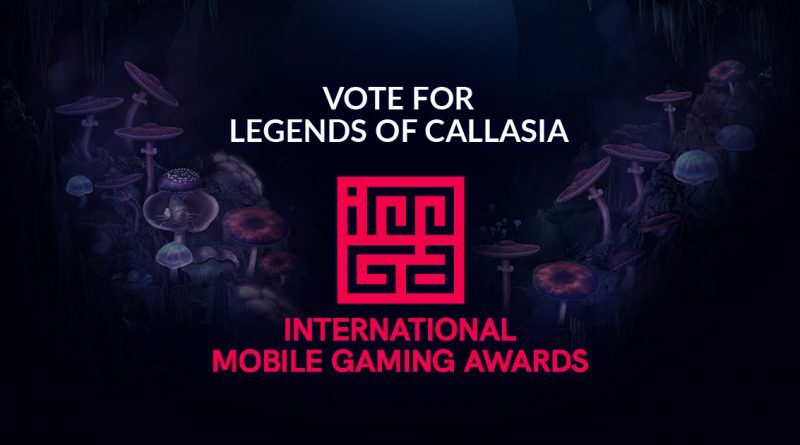 “Nominees like Legends of Callasia highlight the new standard of creativity and the emerging quality of the productions found in mobile gaming”, said Maarten Noyons, founder of The IMGA. As a nominee, Legends of Callasia is also eligible to win the People’s Choice Award, which is voted online by fans across the globe. From now until February 27, 2017 Boomzap fans and gamers can cast their votes at imgawards.com. Winners will be announced on February 28, 2017 during the highly anticipated IMGA ceremony, which will take place in San Francisco. For full details visit: http://www.imgawards.com or call: +33 491 315 217. You can also follow us on Twitter or Facebook.